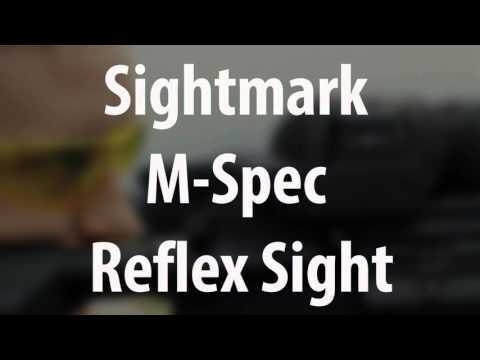 The new Sightmark Ultra Shot M-Spec LQD Reflex Sight seamlessly adapts to meet the requirements of any shooting environment. With its digital control switch, users can adjust up to eight daytime brightness level settings and six night vision modes yielding superior variability. The magnesium alloy housing converges with the sustained performance of up to 1,000 hours of battery life to provide exceptional functionality. The all new locking quick detach mount ensures the sight remains secured to the weapon. The device features a fully submersible shockproof frame for up to .50 caliber recoil, and a protective hood shielding it from impact. The Ultra Shot M-Spec LQD is also equipped with a dual-pane, parallax corrected lens system providing accurate shooting from 10 yards to infinity. This M-Spec uses an accelerometer that detects motion, so if the rifle sits motionless for more than 5 minutes, the attached sight will shut off. 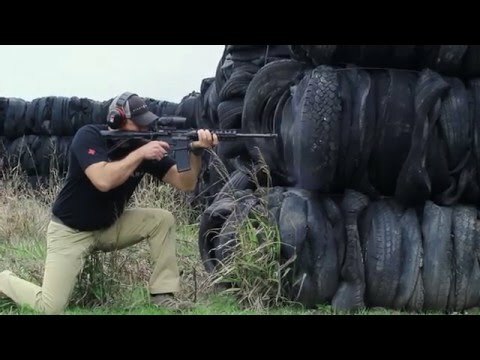 When the rifle is picked up or moved the sight will turn on again. This feature was implemented to conserve battery life and gives shooters an option to keep the M-Spec in a “sleep” mode and stay ready at a moment’s notice.